Charlene Krise started fishing the waters of Puget Sound in 1975, after a court decision reaffirmed tribal rights to half the region’s salmon. Amid the hard work of hauling in beach seines and long hours on the water, Krise and fellow members of the Squaxin Island Tribe would hook their boats together and talk, sharing their knowledge of the nearby inlets, salmon smoking techniques and family connections. But in the ensuing decades, wild salmon numbers in the Pacific Northwest dropped. By 1999, they had disappeared from 40 percent of their historic range, due in part to environmental degradation caused by road infrastructure, dams and logging. Tribal members struggled to rely on fishing as a source of income or subsistence to support their families. In 2001, 21 tribes sued the state of Washington over roadway culverts that blocked hundreds of miles of salmon passages. Sockeye salmon, here in Kittitas, Washington, traverse stream beds when returning from the ocean to spawn and feed. The court sided with tribes in 2013, but this August the state appealed the case to the U.S. Supreme Court. At the heart of the case is a question of tribal sovereignty, the right of Indigenous nations to govern themselves. For the 21 tribes, the right to fish was guaranteed in treaties signed in the 1800s. 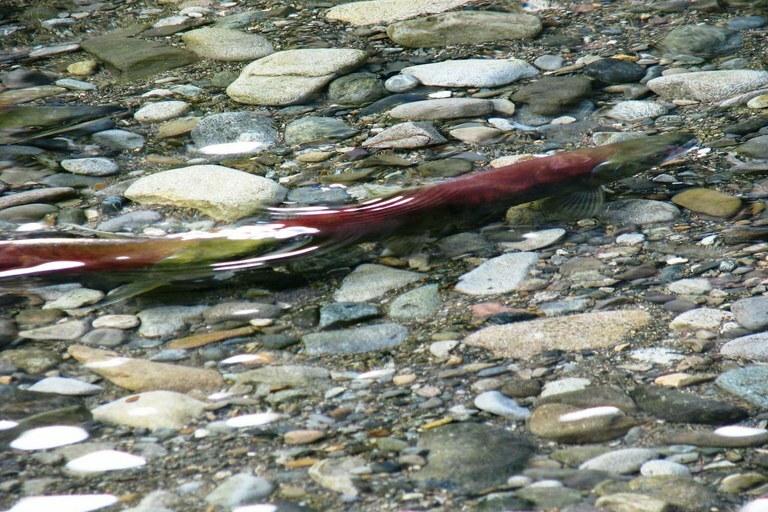 Federal District Judge George Boldt reaffirmed those rights in a landmark 1974 decision guaranteeing the tribes half of the salmon in Washington waterways. The Boldt decision was a “lightning strike,” tribal law expert Charles Wilkinson told High Country News in 2014. “It wasn’t just getting a fair share of the fish, but (Native Americans) had the right to act as sovereigns.” But Boldt did not make clear how responsible state and federal agencies are to tribal nations under the signed treaties for making that fair share available through healthy salmon habitat. And that question could be answered by the culvert case. If the Supreme Court decides to take this case, and it upholds the findings of the lower courts, the tribes will be vindicated and the state will have to spend, by its estimates, $2.4 billion to replace over 900 high-priority culverts by 2030. Three other Pacific Northwest states with salmon and culverts could eventually be compelled to fix theirs, too. If the justices side with Washington, the four state agencies responsible for culverts would no longer be ordered to fix them on a court-mandated timeline. At the time the tribes filed their lawsuit in 2001, over a thousand state-owned culverts blocked 1,000 miles of streams that could support 200,000 adult salmon annually, according to the Washington state Department of Transportation. Today, a total of 1,977 fish-blocking culverts have been identified. By installing culverts too high off the ground, at angles that were either too steep or too shallow, state agencies inadvertently blocked adult salmon returning from the ocean to spawn and feed, as well as smaller juvenile salmon. Culverts are “one of the most recurrent and correctable obstacles to healthy salmonid stocks in Washington,” WSDOT wrote in a 1997 report to the state legislature. By court order in 2013, the Washington State Department of Transportation was charged with installing larger culverts or wide bridges to accommodate juvenile and adult salmon on a prioritized schedule by 2030. 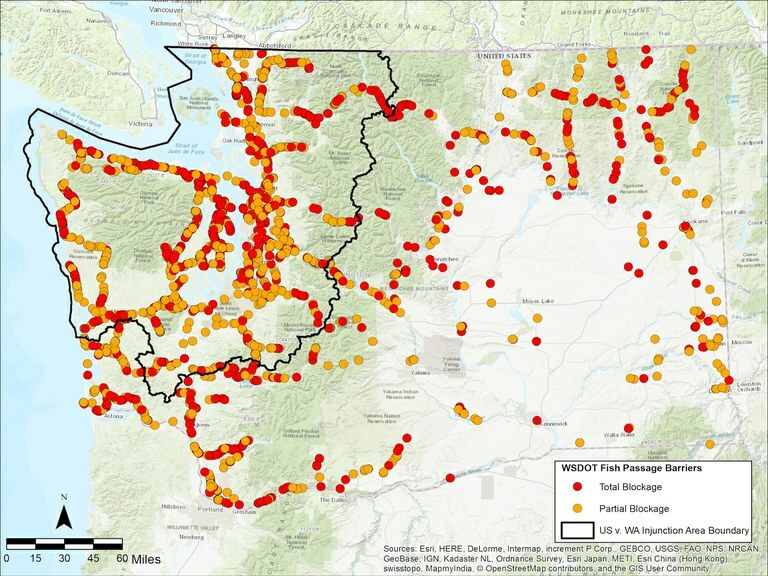 So far, WSDOT, the state agency with the most culverts to fix, has rebuilt or repaired 319 fish passages in 25 years. The state’s arguments against being forced to replace the culverts are similar to its reasoning in the 1970s fishing-rights case, says Sledd: Fundamentally, the state is denying its responsibility to tribes’ treaty rights. “It is exactly the same argument they made in the past, repeatedly rejected by the court,” Sledd says. In one exchange after the state appealed in 2015, Judge William Fletcher asked, “Would the state have the right, consistent with the treaty, to dam every salmon stream into Puget Sound?” After a back-and-forth, a state attorney responded: “Your honor, the treaties would not prohibit that.” Law experts see that as a regressive interpretation of treaty language, at odds with Washington’s typically progressive stance on other issues like climate change and immigration. The Washington Department of Natural Resource's Family Forest Fish Passage Program has replaced 232 culverts on private land since 2003. On the left is an uncorrected barrier, on the right is the completed project. In the state’s appeal to the Supreme Court, Attorney General Bob Ferguson focused on the implications of the 2013 ruling, saying it is overly broad and that it could open the door for tribes to sue over any habitat degradation by state or private entities, or over even bigger issues like ocean acidification and climate change that impact salmon health. The state has also argued the court order forces money towards culverts that could be more effective in other salmon habitat projects. A third point to the appeal is that the state’s culvert designs were to federal standards at the time, thus, the federal government should be blocked from its claims, or should help pay for the costs to fix the culverts. The states of Montana and Idaho have both entered the case on Washington’s side out of concern for how the ruling could affect them, but Oregon, which has a similar treaty relationship with tribes as Washington, has not. “We have been working with the Oregon tribes on these issues and we have a good working relationship,” wrote Kristina Edmunson, spokeswoman for the Oregon Attorney General’s office, in an email. “However, we are watching it closely.” The Supreme Court will announce in early November whether they’ll hear the case. Although Ferguson has insisted that “tribal treaty rights are vitally important,” tribal members throughout Washington are concerned about the possible result of the state’s appeal. “The right to harvest salmon was one of the few things we kept when we gave up nearly all the land in western Washington,” said Lorraine Loomis, chair of the Northwest Indian Fisheries Commission in a press release. Note: This article has been updated with additional reasoning for the state’s appeal to the Supreme Court.